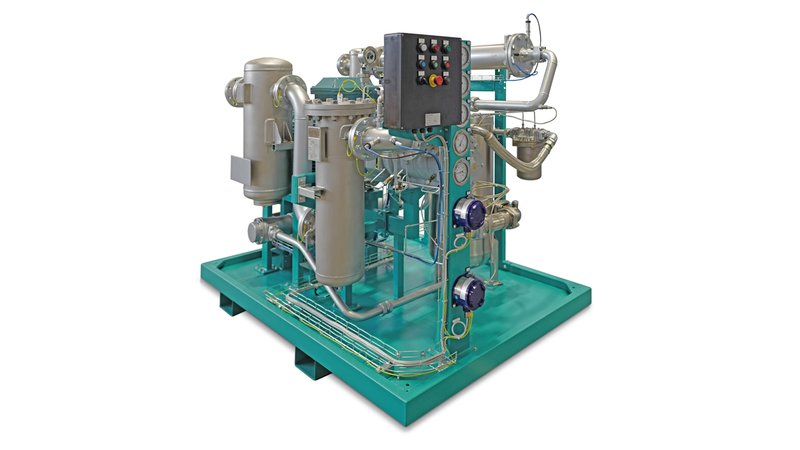 The K Series gas compressors are the solution for gas treatment and processing applications that need high energy savings, low operational cost and constant efficiency over decades. With 2.5 to 10 bar(g) pressure range and up to 2690 m3/h, the K Series covers the gas compression requirements in many industries, from the oil&gas and energy sectors to chemicals, from the metal industry to food processing and more. The high-quality, sturdy design of these gas compressors meets the most stringent safety criteria, including the Atex directive for Zone 1. The K Series gas compressors handle a wide range of gases, including: methane (CH4), ethane (C2H6), carbon dioxide (CO2), nitrogen (N2), biogas and natural gas. Pneumofore Rotary Vane technology, which is at the core of the K Series, ensures trouble-free operation, stable performance over the years and the lowest Life Cycle Cost available in the market.